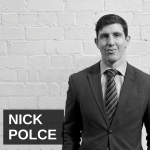 Nick Polce is the Managing Director and a partner at Tactical Operations Support Services, LLC (TOSS). Nick has a military background and serviced the US Army Special Forces for over a decade. He talks to Jason about what he does at TOSS, how people can keep their homes secure, and the importance of having a plan in place before an emergency occurs. [1:40] Nick was a Green Beret for over 10 years. [4:00] What does Nick do for TOSS? [7:30] Simple steps to protect your home? Have an alarm system. [10:00] Nick has two to three months worth of food in case of an emergency. [11:40] You lose a lot of your rational thinking when you’re stressed, which is why it’s important to plan ahead before disaster strikes. [12:30] Why is Nick interested in real estate? [15:25] The sky is the limit in the way you can structure real estate deals. [16:35] Nick talks about WIIFM. Hey, it’s my pleasure to welcome Nick Polce to the show. He’s got a tremendous background, military, security, prepping, and real estate investing too. A newer thing for him, but he is very excited about it. He was referred by one of the financial advisers, the mortgage people we do business with in my real estate company, so it’s a pleasure to have him on. Nick, where are you located? Hey, first of all Jason, thanks a lot. I’m out of Virginia right now. Fantastic. Tell us a little bit about your background in the military and so forth? Sure. I was active duty army for about 2002 to early 2014. I spent my career in army special forces, otherwise commonly known as a Green Beret and during that career, I had multiple deployments, different theaters of operation. Middle East, Africa, etcetera. So, I got to see a lot of the places in the world that few people get to observe, I guess. Those garden variety spots where they’re hot and sandy. Yeah, they probably weren’t very nice, I assume. Can you share any of the special operations you did? Any Green Beret ops, we can know about? A lot of that world, fortunately, you leave that behind once you get out and you kind of have to classified world. If we talk a little unclass, you’re going to do some training, worked a lot with host nation forces in getting them up to where they need to be to actively pursue security in their individual countries and there was some what you’d call unilateral or US military-specific missions that we were part of during deployments. Very interesting, good stuff. So, what have you done since you’ve gotten out of the military? You started a security company and then you’ve also really worked on survival skills for yourself, right? Yeah, so post-military I got out early 2014, so I started my own security consulting company. We are joint with another company that had been in existence for a while and that company is called TOSS. So, Tactical Operations Support Services. TOSS has three different lines of effort. We do [cuts out] training shop, which conducts training for different operations and they are government agencies. We have a consulting service which goes out and primarily our clients consist of a fortune 500 companies, your high net dollar work individuals and we’ll go in and look at their individual security assessments. We’ll conduct some PSD, personal security. It runs the gamut there. We also work in the cyber world where we’ll be asked to come in and conduct testing on different networks to find out if there’s any weaknesses or vulnerabilities and we have an alarm monitoring service. Tell us about some of the things that you want to share with people in terms of security and what they can do. I want to talk physical security first, but then maybe we’ll touch on cyber security a little bit. So, what we’ll do on the security side of the houses is we’ll get called in and a company or an individual will say, hey, can you take a look at my business or my residence. There are concerns here with my situation not being the most robust when it comes to the ability for people to get in or there may be some threats made against the individual or the company. So, what we’ll do is we’ll come in and we’ll interview a lot of the different staff. We’ll interview the senior leadership. We’ll take a look at the structure and then based off of that, walk through, it usually takes about a day, then provide recommendations and places that we can provide the client the opportunity to harden his structure or harden his building or his house to make him less of a target and mitigate some of the risk and the reason why we’re able to do that is because everybody that is apart of these security assessments or security consulting work has done it for decades overseas. We have guys who retire from the bureau, federal bureau of investigations. We have retired special operations guys from the army, the navy. We have retired guys from the intelligence community. Right, right. So, you got guys with resumes, Nick, but tell us what you do. Like, give us some examples of the actual work. So, a recent example of a CEO of a fortune 500 company. They called us in and said, hey, we want you to do two things. We want to come in and look at my house and tell me any weaknesses may lie and how I can harden that structure and I also want you to run a TSCM sweep, Technical Security Counter Measures, because I am concerned there may be some bugs, meaning recording devices, in the house. So, we’ll go up there. We’ll walk through the property. We’ll take pictures, interview the staff, interview the people, and then we’ll provide a recommendations for how we can make that structure or more difficult for someone to breach. How do you sweep for bugs, for recording devices and transmitting devices? There are certain equipment that you need and that equipment is then brought in at certain wavelengths and they are looking for certain equipment that’s communicating at those different wave lengths and then the guys will run through, conduct their sweep, and then they’ll process it and provide the feedback. Okay, can you be a little more specific about that. Like, what equipment do you use and how do you do it? I mean, if it’s a recording device and not a transmitting. I can see how you could identify a transmitting device, but how do you identify recording devices that aren’t sending a signal. That expertise and specialty is not my background. So, I wouldn’t be able to talk specifically to the equipment. Are you more on the physical security side then, Nick? Right, the physical security, the personal security detail, that type of world is where we work. Okay, give us some examples there of how people can strength their home and fortify it. Well, some simple things is your alarm system. That’s the simplest way to start is if you are concerned in the area that you live in, put in a good alarm system, one that is going to cover the perimeter doors and then one that’s also going to cover your dead spaces and dead spaces meaning that somebody comes through the window or is able to get through maybe the garage door. You have certain PIR, which are IR devices, infrared, which will detect movement. So, those will start with the basic security systems to make yourself a harder target, because a lot of times what happens is if somebody’s going to be robbing your house or looking to do any type of damage to your house, an alarm system, just an simple sticker that says you have an alarm and then the exterior lighting system is a very big deterrent and it forces people to think twice to go after the house. So, that’s ultimately what you want to do. You know, Nick, you’d hope that stuff would just be common sense, I know it totally isn’t, but what can you do in the more advanced ways? Any advice on some stuff beyond lighting and alarm systems, which is good advice, you know, hopefully most people would know that, but not all of them do. You know, a lot of the security questions, frankly, is where you’re going to be at. If it’s an area that does not have a high criminal threat, advance stuff is not going to take you too far. Simple things like awareness, understanding your surroundings, getting as you go, day to day, going back and forth to work, you see things that – a pattern almost, a pattern that’s going to develop and in those times of when things are not the same, that’s when you really got to be alert and that’s part of that ability to be switched on, because humans often just get to a rut, get to a pattern, so trying to stay alert and break that pattern is really one of the best things you can do. Because that’s what – if someone wants to harm you or rob you, they notice your patterns, your routines, right, your time frames and so forth? Correct, that’s one of the simplest ways depending on how in depth they want to get into that. They’re going to look at the weakest time or the time where you’re least aware and that generally is when you get into that rut and you get to that low where you do the same thing over and over again and your guard gets lowered. Tell us about your prepping if you would and what you’re doing there? So, on the survival side of the house. Some of the things that’s kind of drilled into us in the army was the contingency planning. So, as much as I was going when I was active duty, I want to make sure that my wife and my family were in a position where if something were to happen, they would not have to be worried about eating or drinking water or staying warm. So, what that left us to do and we kind of recognized and did some planning as far as the systemic risk in the food supply and some of the infrastructure and what we did was we started to build a little supply of food and water at the house to be able to survive for a certain amount of time. Meaning, if something happened, 24-48-96 hours, we’d be good and then we started building on to that. Understanding where we had a few months worth of food and water. So, the basic is known as the 72 hour, that’s kind of the bug-out bag idea. I think the next real demarcation point, if you will, is about three weeks, because after three weeks, many people will not survive a disaster and how ready are you? So, what we did when we sat down as we looked at the calorie count. A lot of times you see in these different manuals, which describe your highest store food and how much food you build up is they’ll sell certain packages and they’ll say, it feeds one person for this amount of days, but if you dig in and drill into the calorie count and you look at the calorie count is not very high. So, what we did was we built up our calorie count and we wanted to get to two to three months worth of food to be comfortable. So, what kind of food do you use? I mean, are you canning? Are you using MREs? What are you doing? So, what we did is mostly MREs, because kind of grew up on. I guess I got a taste for them while I was active duty. Yeah, we’re used to them. So, we got mostly MREs and then we have some dried food that we use. Nick, what advice would you give people in terms of how to secure their home, how to survive, you know, just any other general advice? Maybe questions I didn’t ask you? One thing I would say is planning. Think about contingency planning. Think about some things that can go wrong and then put measure into place to mitigate that stuff now, because when you’re thinking about it, it’s easier to plan, but when the emergency happens or when that time happens where you go from being calm and relaxed to being stressed out, you lose a lot of your monitor skills and you lose a lot of your ability to think relationally. So, that’s not the time to figure out how to employ certain things. That’s the time to just put your plan into place and execute. So, take the thinking out of the equation, because the thinking is where you go bad when you’re under stress. It’s gotta be rote, right? Correct. It takes a lot of training and often said saying in the military, in a time of crisis, you’re not going to raise to your expectations, you’re going to lower to your level of training. So, the more training that you have, the more that you’ll be able to execute in a stressful situation. Yeah, good, good stuff. That’s a very good point. You’re investing in real estate now and you’ve got a few properties going and you formed a little venture on this, right? Yes, when I got out, I’ve always been interested in real estate. I got out, i had a little bit more time to focus on it and get the education I needed to be successful. So, what we wanted to do, like everything in our life, put planning in place and prepare for different things that could happen. Part of that was develop another stream of income, separate from our security business and we wanted to do that through purchasing real estate. So, Nick, why were you interested in real estate? You know, why not the stock market, why not gold or Bitcoin or something else? Well, I really started studying wealthy individuals. They were able to build wealth through a couple of different things and the primary two were business, building their own business, and then buying real estate or building a business surrounded by real estate, because I wanted to model my life and my education around the successful. That’s what originally drew me into real estate and the more i learned about it, I learned about the different tax benefits you can get. The ways that you’re able to develop income streams. So, all of those things contributed to learning more and more and jumping in and starting my own investment company. Did you look at that when you thought of, I mean, don’t you read stuff about wealthy people and they are investing in stocks and things like that, too, right? Oh sure, absolutely. What I did see is 2008-2007, that crash, I saw a lot of people that I thought were the smartest people in the world, watch their investments go up in smoke and a lot of people getting ready to retire, especially my family, had to push off retirement, because of that collapse and that was originally what first got me thinking about, okay, smart people in the world growing up did that. They put all their money into stock market, bought mutual funds, and this is what happens. So, that’s what started me thinking and looking down a whole new way and it was almost a paradigm shift. I agree with you. Income property is the most historically proven asset class in America. I don’t know anybody who got rich in the stock market, yet I know zillions, that’s not an exact number, who got rich in real state. The only people who seem to get rich in the stock market are the insiders. You own your own company, you do an IPO, certainty get rich that way, but that’s an insider. You worked on Wall Street, that you’re insider, but real estate is opened to everybody, isn’t it? It is. It really is and there’s really lower barriers to entry, I think, too. At least in my experience last year. So, getting out, networking, meeting a lot of more successful people that are buying real estate and there are so many different ways you can create value and solve problems in the real estate world that I haven’t found in different types of investments. Yeah, it allows you to be creative and you to be bring your own creativty to it. It doesn’t mean like creative in terms of how should you fix up the house, what kind of carpet and paint you should put in. It means creative in deal structuring, creativty and how you’re going to design your portfolio, diversify, what locations, things like that, right? Yeah, absolutely and that’s the big thing that draws me in now the more and more I learn is that the creativity. The sky is the limit. There’s all different ways you can structure yoru deals, raise cash, purchase properties, it all comes down to how creative you can be. Yeah, that’s a very good point. Nick, do you have a website you want to give out or a Twitter account? Spoken like a true military man. Well, I’ve found it’s easier to phonetically spell it out, because sometimes the connections don’t work out too well. Yeah, I love it. Military guy or a pilot, yeah. And the other website is wiifmgroup.com. And WIIFM is what’s in it for me, right? Exactly, what’s in it for me. It’s a way of structuring and listening to the problem from the person you’re talking to and how you solve their problem. Tell us about that a little bit, the WIIFM, you know, how do we do that better? How can we walk in the other person’s bakersons, as it were. I think listening. Asking questions. In general, listening to the response. Not trying to get – spend so much time getting your point across. Listening to what the other person has to say and it gets back to that creativity and solving problems in real estate and if you’re successful, you’ll make a profit and that’s the way we try to approach it and that’s how we designed the company. As we grow, I want to be able to bring people on and train them that WIIFM mindset. That is a great mindset. Nick Polce, it was a pleasure talking to you today. Thanks for being on with us. Hey, thanks a lot, Jason. It was an absolute pleasure.